When it comes to video, there is a big issue called bandwidth, that WAN upgrades DON’T address. Video is becoming increasingly prominent in today’s business – medical images, corporate communications, online education, legal and insurance footage, to name a few. Attend this webinar to learn how to take action to address WAN optimization challenges and prepare for the onslaught of video. 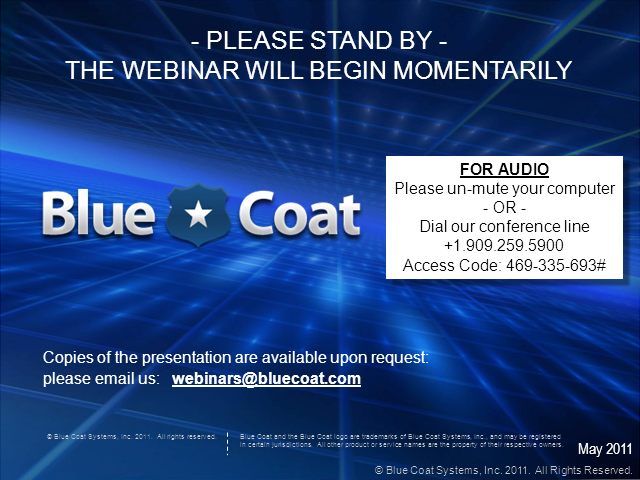 Hear how five Blue Coat customers experience dramatic gains in performance and reduce their dependence on bandwidth.